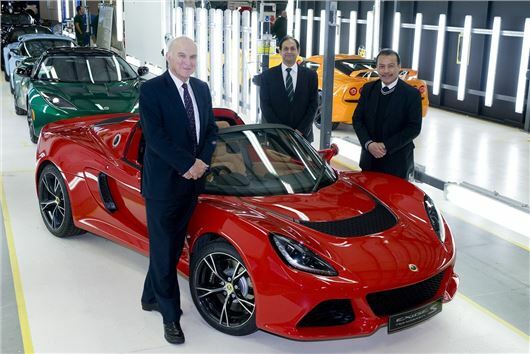 Lotus has secured £10.44m of government funding, which it is to invest in creating new jobs in research and development. Lotus announced a host of new models in 2011 but they none entered production. Chances are they’re still a few years off, though, despite the financial boost. Instead, in the short term at least, Lotus is likely to broaden the appeal of its current models, the Elise, Exige and Evora. Aslam Farikullah, Chief Operating Officer at Lotus, said: “This grant is part of a wider strategy for Lotus created to ensure we thrive and grow. Business Secretary Vince Cable said: “I am pleased to announce today that our flagship economic plan to create jobs outside of London - the regional growth fund - is awarding Lotus a £10 million grant which will help them develop their next generation of cars and create over 300 new jobs in East Anglia. "The Government has already supported over 400 projects with £2.6 billion from the Regional Growth Fund, promoting growth in regions across England. The latest round is still open for another two weeks and I'd urge all businesses with a plan to support jobs in their local areas to apply" He continued.